After building thousands of pieces of creative for our clients, we’ve seen everything that does – and doesn’t – work well in the digital production process. Early on, we wanted to streamline the experience, but couldn’t find any tools that were up for the challenge. So, we built our own instead. These three tools – two of which are also available to non-Digitaland clients – are how we keep projects moving from concept to launch, fast. With AdX, you’re always a click away from instant updates on your project. Just log in for status, access to deliverables and more. 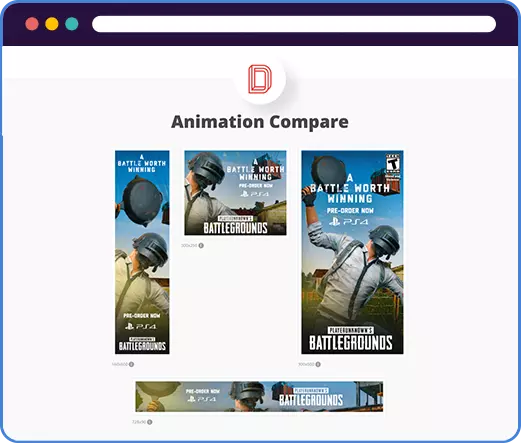 You can add comments, revision requests and approvals or use our integrated Animation Compare tool (see below) to ensure consistency across multiple pieces of creative. No more juggling between screens and tabs or sending back and forth emails. We’ll white label the AdX platform for you, so you have an elegant way to present deliverables to your client, keep them in the loop and stay on top of their feedback. With the proliferation of devices, it’s more important than ever that every piece of creative in your digital advertising campaigns is consistent in size, colors, branding, etc. Our Animation Compare tool lets you see all your deliverables side by side, on one URL. 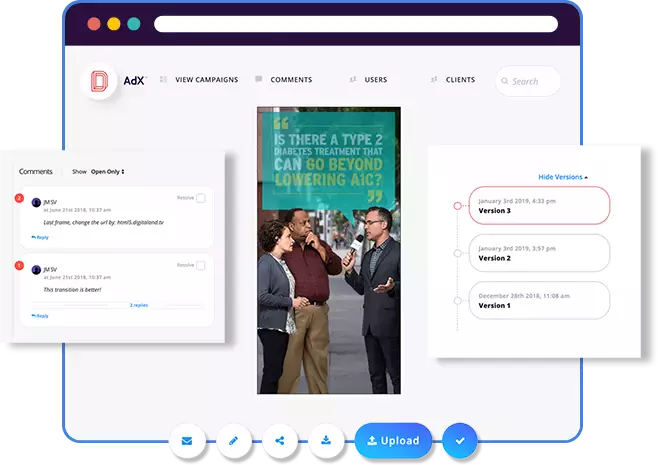 This free tool makes presenting to clients (or conducting internal reviews) easier than ever, so you can give – and get – better feedback faster. This free tool is integrated with our AdX platform (see above). It’s the same thing we use to deliver pixel perfect work on every project. Try it out now. It’s free – there’s no download, login or account needed. Time is of the essence when you’re building out a pharma campaign. But so is compliant creative. That’s why clients request frequent edits to the ISI during - and even after - production. The challenge: How do you track the changes throughout every stage of development? 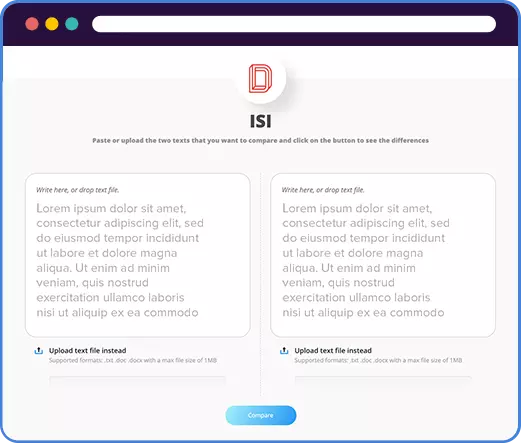 The ISI Compare tool is how we keep track of everything from “Add a comma here” to “Delete this word.” Now we’ve made it available for all pharma marketers to use. This text compare tool will detect and highlight every change between two versions of the ISI. These tools are just the beginning. Let us take even more off your plate.